The Canadian Food Inspection Agency (CFIA) is currently soliciting ideas from the general public on how it can be more open and transparent. As the federal ministry tasked with ensuring the welfare of farmed animals and enforcing both the Health of Animals Act (which governs the transport of animals) and the Meat Inspection Act (which governs the slaughter of animals at federally-registered slaughterhouses), this is a good opportunity to call for more transparency on exactly what the CFIA is doing to protect the welfare of Canada’s farmed animals. Submissions are accepted in 3 ways: Complete the online survey, send an email to transparency.transparence@inspection.gc.ca or post your comments on Twitter or Facebook using the hashtag #OpenCFIA. The CFIA is specifically looking for responses to 4 key questions. These are provided below, along with our suggested responses. The deadline for submission is August 2nd. How can the CFIA provide Canadians with more useful, timely and accessible information about food safety, animal health and plant protection to help them make informed decisions? 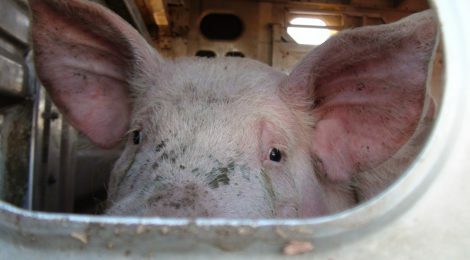 The CFIA has been reviewing animal transport regulations under the Health of Animals Act and promising to release updated regulations for years but has yet to do so. It should report exactly what it is doing on the review, explain why it is taking so long and report the names of industry organizations it is holding meetings with. Which additional information and tools could the CFIA provide to help industry comply with regulatory requirements? The CFIA should remember that it is an enforcement agency and that industry compliance should be required or proportionally penalized. Regulations should be written in plain language, be prescriptive and clear, and avoid terms such as “unnecessary” and “avoidable”. How can the CFIA share more information about its compliance and enforcement activities? CFIA inspectors and veterinarians have two means of issuing citations: Administrative Monetary Penalties and Notices of Violation. The names of all violators (under both AMPs and NoVs) should be made public in an easily accessible database with dates and details of the offense as well as whether they committed previous offenses. The entire processing of NoVs should be made public so patterns of dismissal by specific individuals or levels of management within the CFIA become apparent. The CFIA should also be open about the presence (or absence) of inspectors and veterinarians in slaughterhouses, including the percentage of time spent with live animals observing unloading to ensure compliance with the Health of Animals Act and during slaughter to ensure compliance with the Meat Inspection Act. What can the CFIA do to help stakeholders and the public learn more about regulatory science, and have access to research and information from CFIA scientists? The CFIA should provide detailed references for all research used to develop regulations along with its rationale for all regulatory decisions. Once you find the information you are looking for, in general how useful is it? If you answered ‘not at all useful’ or ‘not very useful’, please let us know why. Information provided by CFIA is generally vague, does not provide enough detail and appears designed to protect the interests of industry. Often information that was previously available is no longer published and important statistics are grouped in ways to conceal exact numbers from each industry, plant and/or province. When searching for specific information on the CFIA website, is it easy or difficult to find? If you answered ‘difficult to find’ or ‘somewhat difficult to find’, please let us know why. Important information and statistics are buried using technical jargon and require numerous extension clicks before finally stumbling upon them. Specifically, what type of information about animal health would you like to know more about? Product labels should be clear and include detailed information on how the animals were raised (ie. battery cages, tethered/chained to tie stalls, etc.). Specifically, what type of tools used by CFIA inspectors and staff would you like to know more about? All tools used by CFIA inspectors, staff and veterinarians should be made public and be easily accessible and searchable. Does the CFIA’s proposed Open and Transparent Agency Framework have the right themes? No, the CFIA is an enforcement agency and should behave as one. Its job is not to cater to industry, it is to protect farmed animals and the public. Preserving the social license of industrialized agriculture is not the CFIA’s primary mandate. Enforcing the regulations is.